Alexander Rose Cordial Rope Straight Chair: The Cordial Rope Straight Chair by Alexander Rose is a modern and attractive design with high sides to provide ample support when relaxing or socialising. 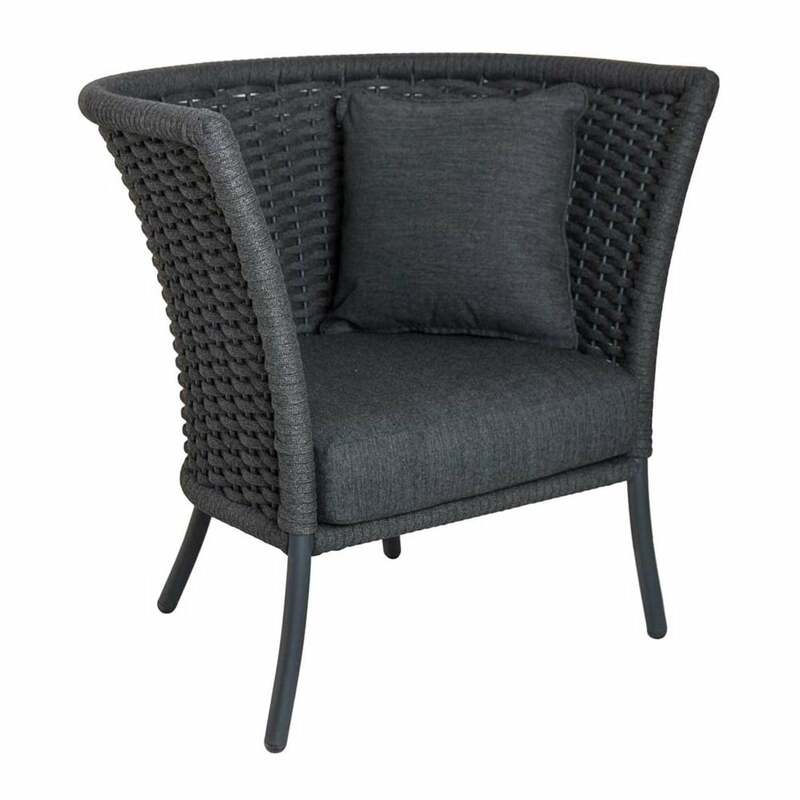 The Cordial Rope Chair also comes with a deep seat cushion and a scatter cushion for a comfortable design. The Alexander Rose Straight Chair will perfectly complement other pieces of furniture in the Cordial Range which come in a choice of grey or beige. The Rope Straight Chair features an attractive frame made from tubular, powder coated aluminium which is then woven using olefin braided rope for a high quality and durable design with a 5 year manufacturer’s warranty.